Spring Grove Avenue is a street in Cincinnati, Ohio, that, due to its wide lanes, light traffic, and limited stoplights, makes for a leisurely drive. It’s also a picturesque thoroughfare flanked with large old factories and warehouses, highlighting what was once a concentration of industry, with new urban redevelopment looking to reconnect with those roots. 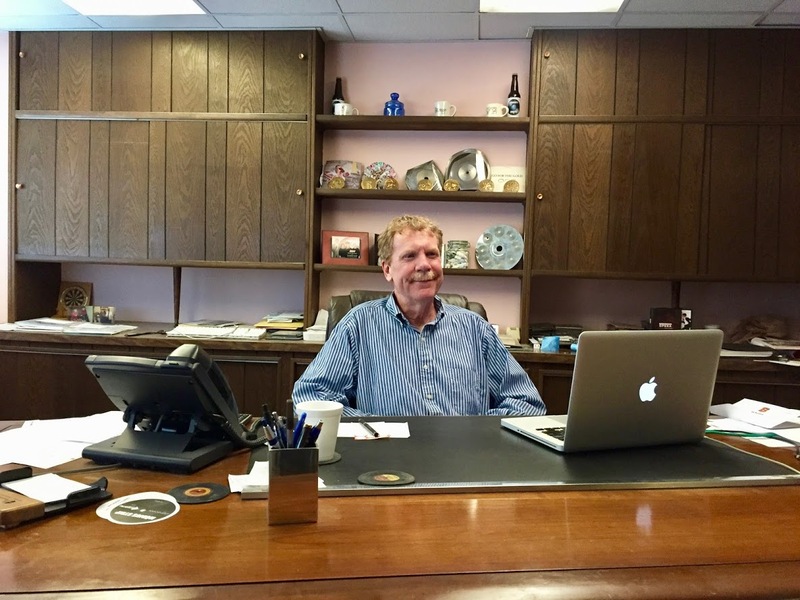 Located on Spring Grove Avenue, and emblematic of its past and present, Queen City Albums (QCA) is a business that has for almost 70 years manufactured recorded music in formats including LPs, cassettes, and CDs. 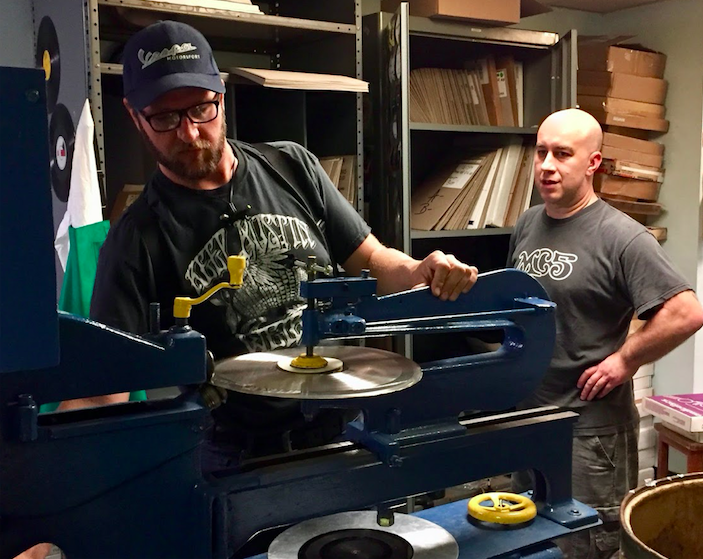 Now, for the first time in two decades, it has again begun mastering and creating stampers for new vinyl records and performing other vinyl-related services. 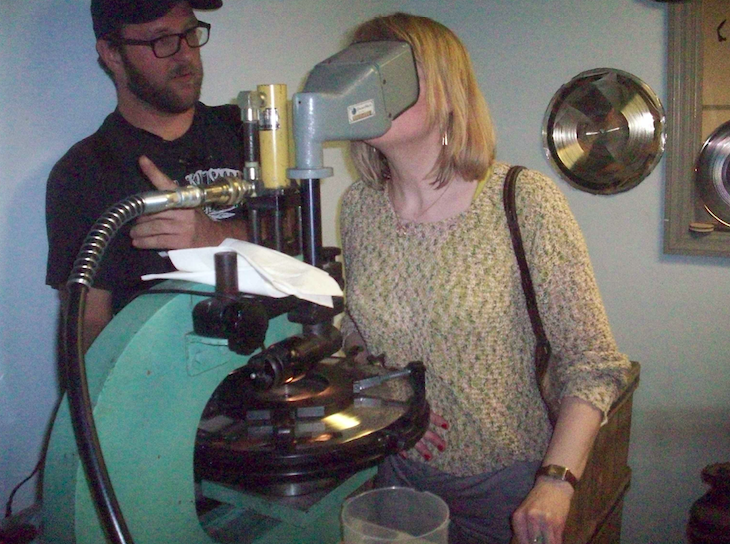 This rebirth was prompted by Gotta Groove Records, a Cleveland-based business that started pressing records in 2009, and knew of QCA’s experience in vinyl production. The fact that these two businesses joined forces to create a full vinyl package echoes Ohio’s rich manufacturing history and is the sort of thing to inspire home state pride. Because of QCA’s history and because I live only a couple miles from its factory, I’d always wanted to visit. Plans to do so materialized after I received a phone call from Mark Lehman, who preceded me as the music editor of TAS—and, I should add, is a classical composer whose discography includes the CDs Andrew Quint reviewed in Issue 264. Mark said he envisioned a vinyl-only album focusing exclusively on compositions for solo piano and was searching for suggestions for a place to master and press his album. I recommended QCA/Gotta Groove, thinking that several TAS editors and writers (many of whom live in Cincy) might also be interested in touring the facilities. With this project it was important for Mark to get the right colors for the album jacket, and QCA (which, in addition to creating the metal mothers and stampers that are used by the plant at Gotta Groove to press LPs, also handles the layout/production of album covers) was diligent in that regard. For such quiet, reflective music, it was also essential that the stampers and the records pressed from them be ultra-quiet, and again QCA delivered. (The LP in question, Sleeping Cats, is reviewed by Stephen Estep in this issue.) Coincidentally, the first composition on Mark’s record, Valse Noire, inspired a performance by the Yuko Mabuchi Trio (released on CD by Yarlung Records), which I reviewed in Issue 279. (This recording will also soon appear on 45rpm vinyl). A jazz pianist, Mabuchi begins and ends her take on Valse Noire with unaccompanied straight readings of short excerpts from Mark’s piece, while in between her trio extrapolates upon the themes in a jazz noir style. Other highlights of Sleeping Cats include a sonatina and what Mark refers to in the liner notes as “five elegiac reveries for piano that distill my feelings for five felines who have been my companions.” These days newly recorded classical music on vinyl is a rare thing, and I encourage fans of piano, neoclassical music, and vinyl (and cats) to visit Music Direct or Amazon to order a copy. In spite of the headaches, my visits to QCA were a pleasure for reasons that partly stem from my affinity for vinyl. Shortly after I began writing for TAS, wax began enjoying an unexpected growth spurt, and I have devoted many pages of the magazine to that resurgence. 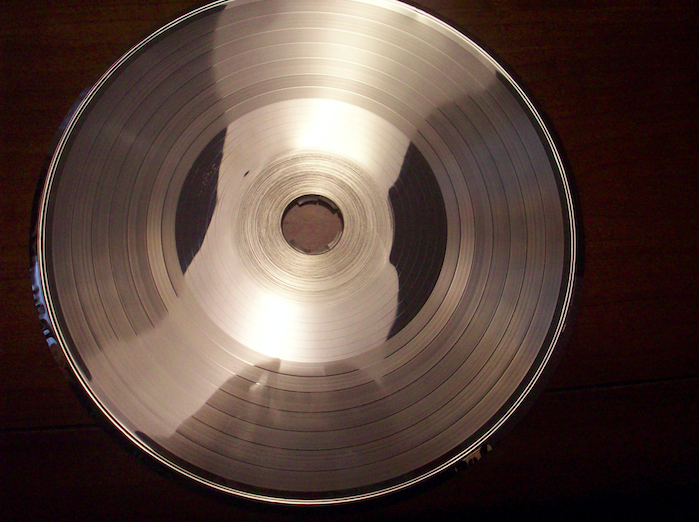 Although vinyl’s sales pale in comparison to the old days, in the audiophile community it plays a much larger role than it does with the general listening public. At the same time the audiophile branch’s enthusiasm for vinyl has influenced the broader market, awakening the mainstream to issues of sound and good, old-fashioned craftsmanship. And there’s more to the QCA visit than a musical format. Mark Lehman and I first bumped into each other decades ago at the library book sales in downtown Cincinnati, where every year we Luddites pawed through thousands of old records donated by the legions of folks who’d switched over to CD. I still remember the first conversations I had with someone who knew way more about the world of recorded music than I did. With Sleeping Cats it felt good to see a colleague and a friend make his own contribution to an incredible treasure trove of music that so warrants preserving.